Nothing captures the spirit of summer quite like a s’more. Unless it’s ice cream. So, it seems safe to say that combining the two amounts to the truly perfect summer indulgence. I’ve been making homemade ice cream for a few years, ever since I bought an attachment for my KitchenAid. 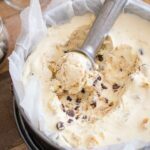 No doubt, I’ve loved making many ice cream flavors this way, both Philadelphia- and French-style, and honestly, I found it so straightforward that I never felt the need to try “no-churn” ice creams as an alternative. So what finally convinced me? I wish I had some brilliant or shocking story about how my ice cream attachment exploded or shattered into a million pieces. (OK, admittedly I don’t really wish that!) But the simple truth is that curiosity finally got the better of me. And, I recently had a rather large quantity of no-churn ice cream’s two key ingredients to use up. So, the experimenting began. What’s In No-Churn Ice Cream? As it turns out, you have to admire the sheer simplicity of no-churn ice cream, whether you have another method of ice cream making at your disposal or not. It’s literally just two ingredients: heavy cream and sweetened condensed milk. Yeah, this is not health food, so.. there’s that. Share it with friends. Eat salmon and salad for dinner. The good news is, it’s ice cream, so if you can exercise the self-control, you can store it in the freezer and space out your consumption over quite a few days. Plus, if you have kids in the house or remotely nearby, they are likely to snuff out this good stuff and ensure it disappears in no time flat. As a favor to you, really. Their hearts are in the right place. So the base of a no-churn ice cream is simple: whip heavy cream until stiff peaks form, then fold in a can of sweetened condensed milk. 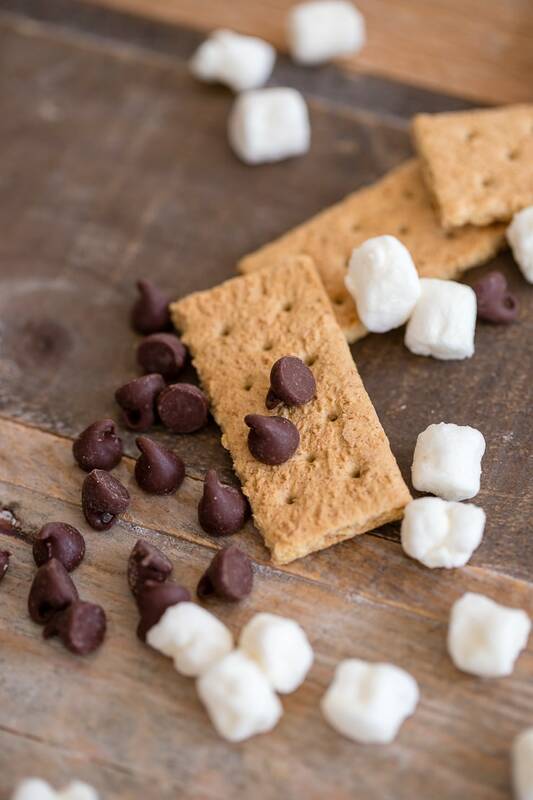 When it comes time to add the s’mores mix-ins, the crushed graham crackers and chocolate chips/chunks are pretty straightforward. Spread them out on a sheet pan and broil to roast them, mimicking the fire-roasted taste everyone loves, then mixing the slightly toasty marshmallows into the batter. If you choose the second option, I caution, no, implore you to only broil the marshmallows for 30-60 seconds, and stay right by the oven so that you can check them right away. Otherwise you are just far too likely to walk away “just to put away this one tiny thing,” and return to find a pan of marshmallows blackened and nearly on fire in the oven. Speaking from experience here. It was bad. Really bad. But I lived to make ice cream another day. So, make a basic no-churn ice cream. Add graham crackers, chocolate, and marshmallows. Invite your friends. Celebrate – you are so extra at summer right now. If you try this ice cream or any other recipe on the blog, please remember to rate the recipe and leave a comment below. 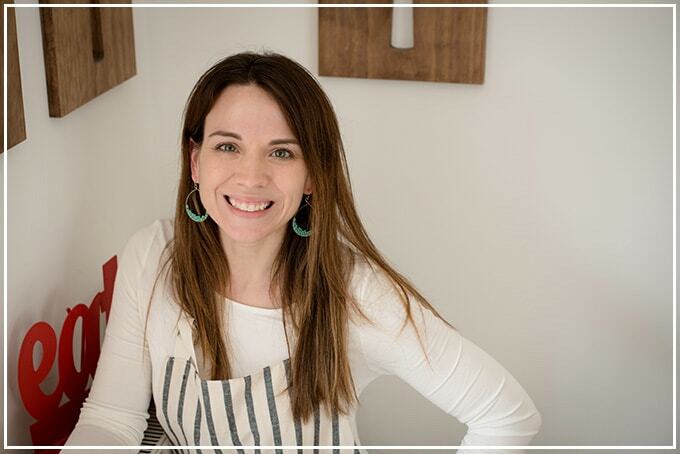 I love hearing from you, and other readers will benefit from your experience! 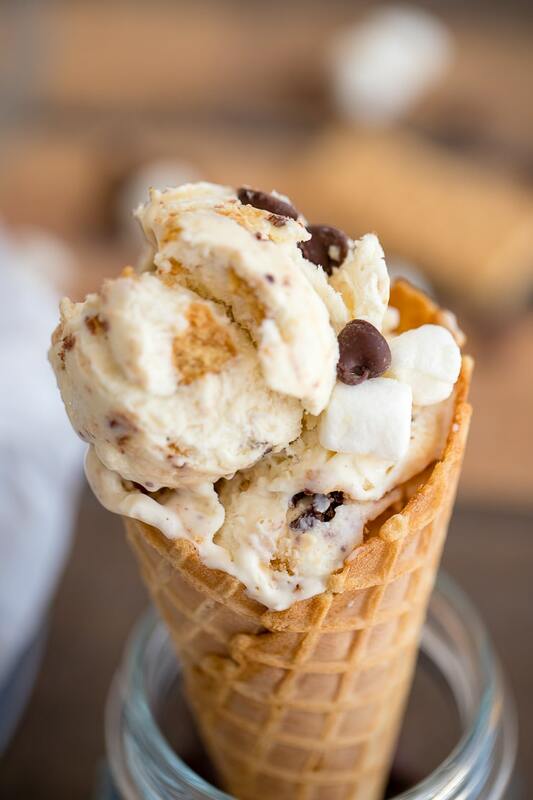 No churn s'mores ice cream is the ultimate summer indulgence - no ice cream maker or special equipment needed to make this rich, creamy treat at home. Using a stand or hand mixer fitted with the whisk attachment, whip the cream until it forms stiff peaks, about 5 minutes. By hand, fold in the sweetened condensed milk and vanilla, stirring just until the mixture is even. To prepare the marshmallows, either melt them in a large bowl in the microwave in 30 second intervals, stirring until smooth, or spread them out in an even layer on a sheet pan and place under the broiler for 30-60 seconds, until tops are golden. 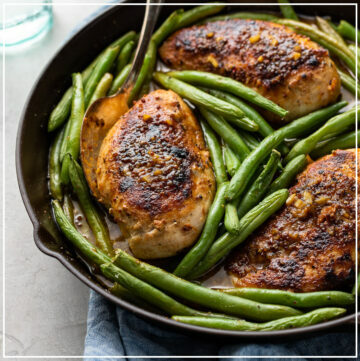 If using the broiler, be especially careful not to over bake, or they will burn! Fold prepared marshmallows gently into the whipped cream mixture, followed by the crushed graham crackers and chocolate. 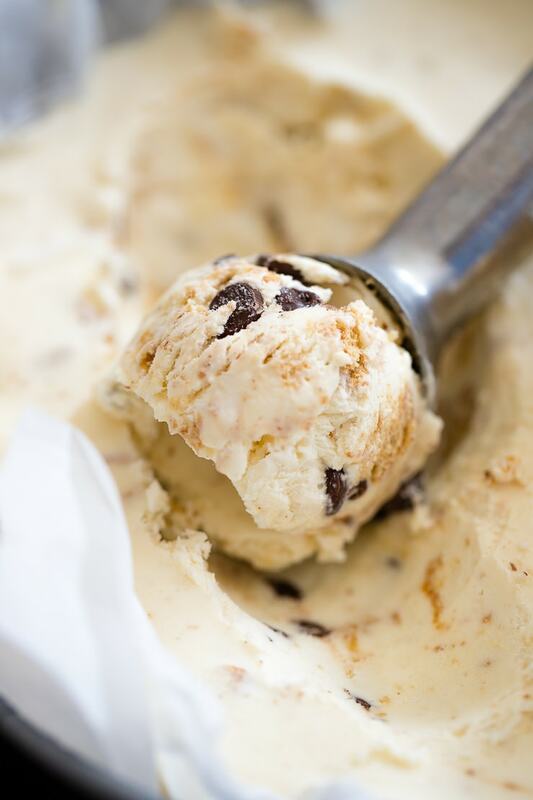 Pour ice cream into a freezer-safe container, cover tightly, and freeze 6-8 hours or overnight. Enjoy! In a pinch, you could certainly just mix in the plain marshmallows to save a step! Literally any container you can put in the freezer will work. Many people use recycled take-out tubs or loaf pans; the ice cream shown in this post's photos was frozen in my 10-inch springform pan! I just covered the top with a tight layer of plastic wrap, then wrapped a rubber band around the outside edge for good measure. Every year we have homemade ice cream after church on the 1st weekend in July. I’m always last minute and have yet to bring any in! This year I’m going to try out your recipe. Looks easy and sound amazing! I’ll be back with the verdict! Thanks for sharing! 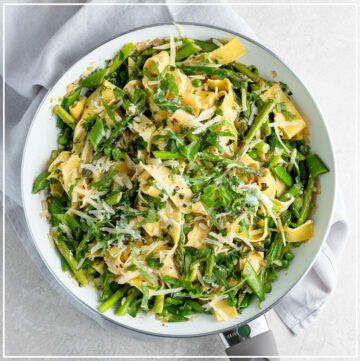 DEFINITELY Not healthy – but Oh, so delicious! I’m with you about no churn. I love my ice cream maker but I’m also so intrigued by no churn options! Haha, right, well, it’s all about balance! 🙂 And yes, I’m totally intrigued by these options. 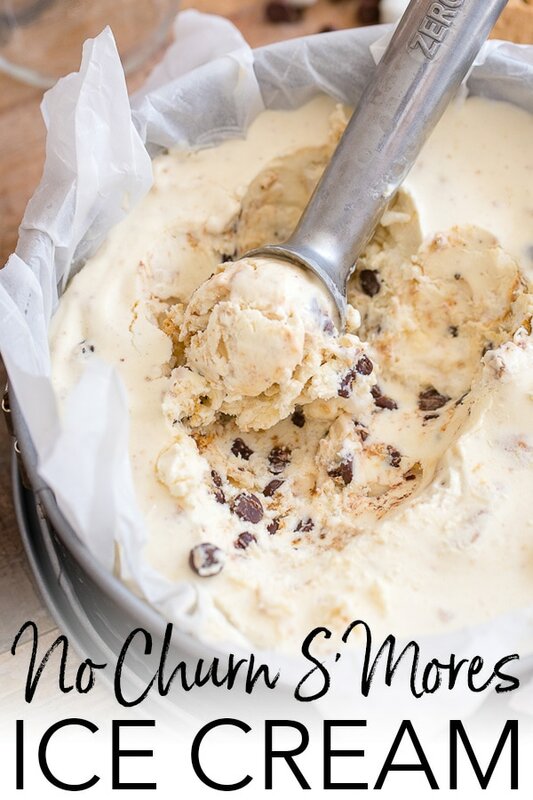 I want to try a no churn without sweetened condensed milk next! 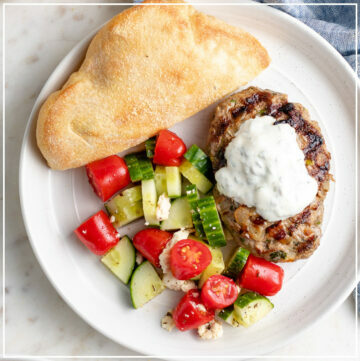 So easy and the perfect summer treat! And who wouldn’t love s’mores ice cream??!! Looks delicious! Of course I pinned this!!! This is so beautiful and your pictures are just stunning!!! Wonderful content, Monica!! Nice work, girl!! 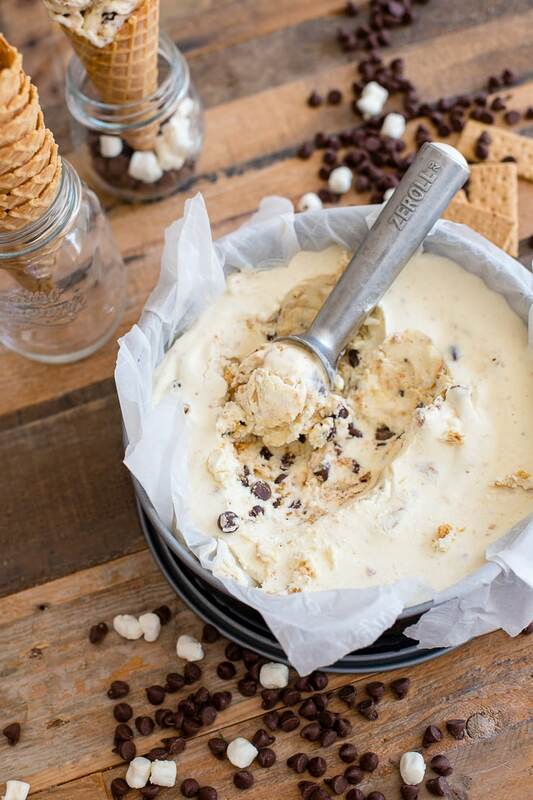 This no churn smores ice cream looks so delicious!! And you made it look very tempting!! YUM!!! You’re too kind as always, girl! Thank you so much! Now go get yourself a bowl, haha! Ice cream? Self-control? Not sure what are you talking about! This ice cream looks fantastic. And this combo? Please pass me a large bowl! No churn ice cream is so delicious! I love this fun flavor idea. 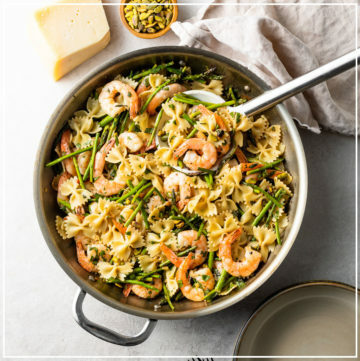 Oh my goodness, this looks so good! Strangely I do like softened marshmallows but not so much straight out the packet, so I love how you chose to incorporate them here. Yum!